Nautical by Nature: And I'm back! Janie and Jack: Anchors Away! My Apartment: my new table! Nautical Outfit of the Week: Sailor Cooper! What a week! I still can't believe my sister is married! Our trip was so fun. I am really glad my sister and her husband (!!!) decided to have a small wedding. I think we all got to know each other pretty well by the end of the week. While it was really really really cold (think below zero DURING THE DAY) everyone had a great time (I think). I mostly took video while my other sister took photos so it will probably be a few days before I post more photos. I tried to take photos of my outfits every day but that didn't last very long. I will make some polyvore posts so you can see what I wore each day. Welcome back! What a beautiful picture! Sounds like everyone had a wonderful time! Welcome back and Happy New Year! Can't wait to see photos. I'm glad you had a great time! 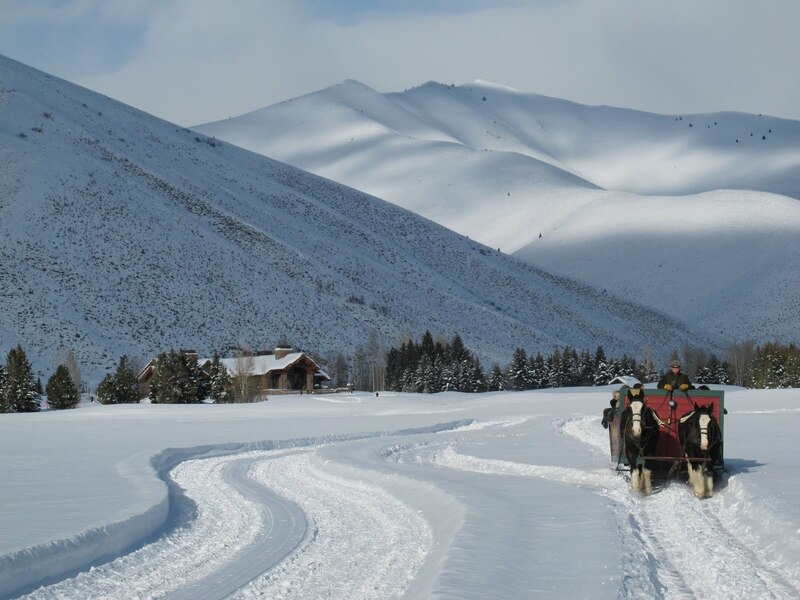 Beautiful picture of the sleigh ride. That sounds like a fun time! I'll be excited to see your pictures.